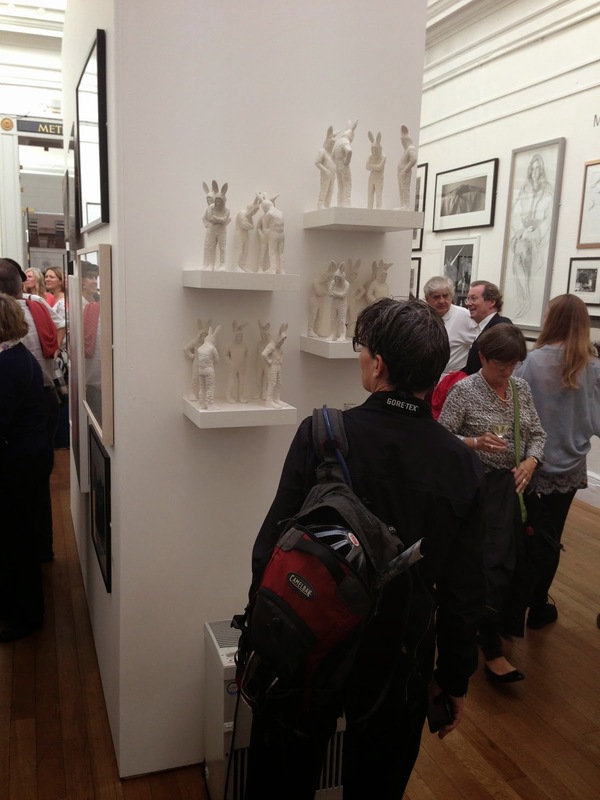 The Rabbitmen were selected for the RWA Annual Open Exhibition and I attended the PV this afternoon. 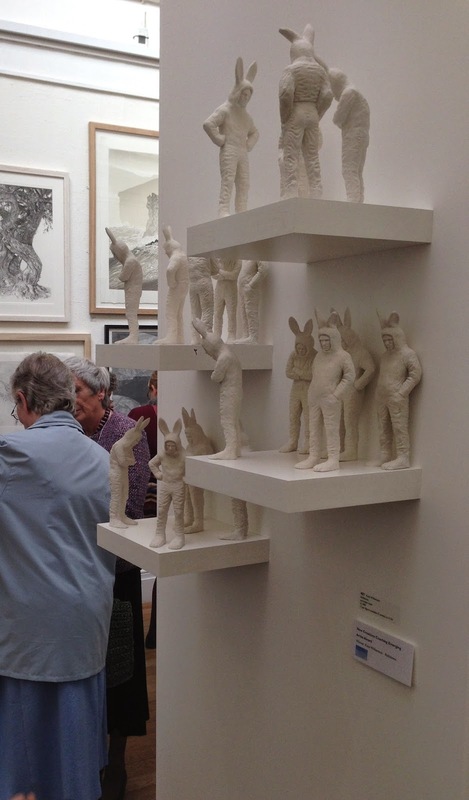 I left it to the curators as to how the figures were installed and they arranged them on several small shelves at head height and above. I was quite surprised although I don't know why really. So far everyone has organised them differently (and that freedom to group them in various ways is part of the work). Looking up at them feels quite odd to me (as well as being a very unforgiving vantage point!). Interesting though. I was also lucky enough to be awarded one of the prizes. 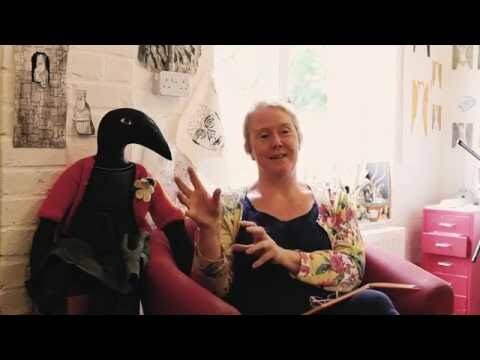 'The New Creations Coaching Emerging Artists Award'. My prize is £240 worth of creative consulting with a company called New Creations Coaching. I'm looking forward to finding out whats involved. I think it will be really useful to me at the moment. Stephen snapped this photo with his phone as I was recieving my prize. I will have to go back to and have another look at the exhibition. I noticed work of some particular favourite artists of mine, including Nicola Bealing and Kerry Phippen but it was very crowded (as PVs should be) and I'd like to have a good look round when it's quieter.